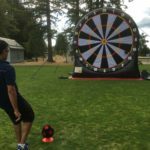 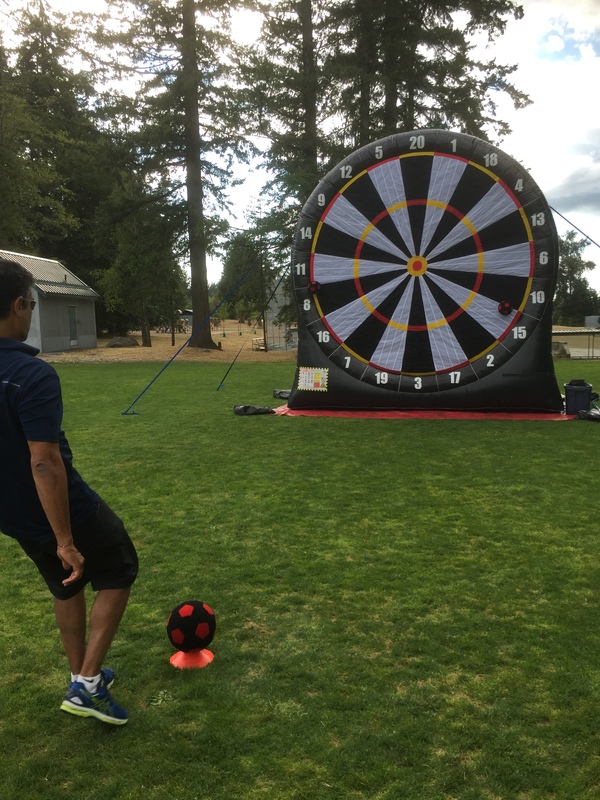 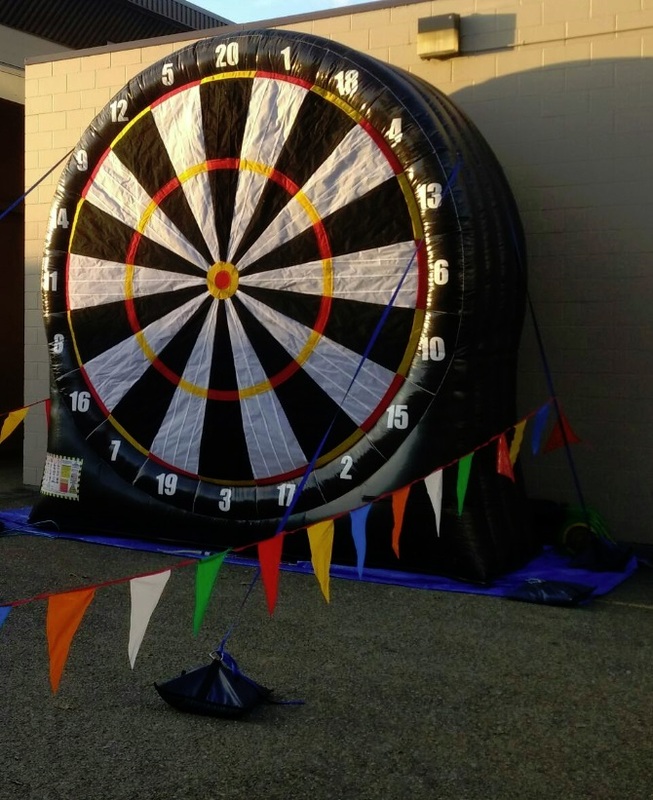 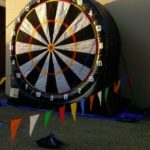 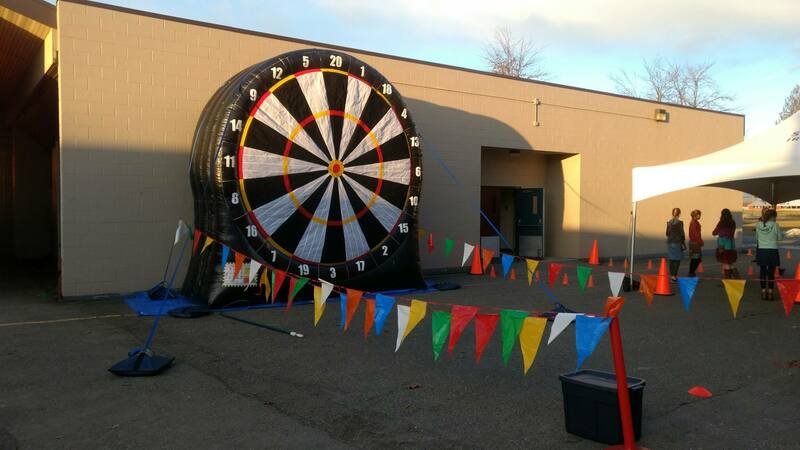 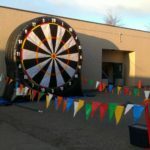 This large, inflatable dart game is a fun, sports- themed game to get your guests moving, interacting and challenging each other. 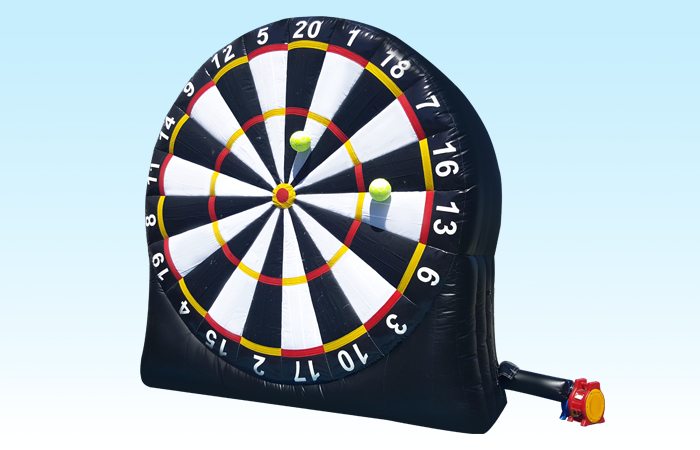 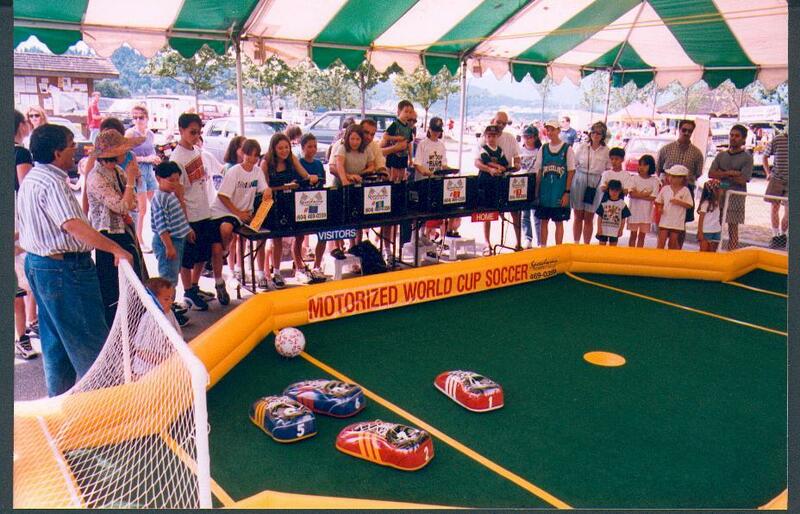 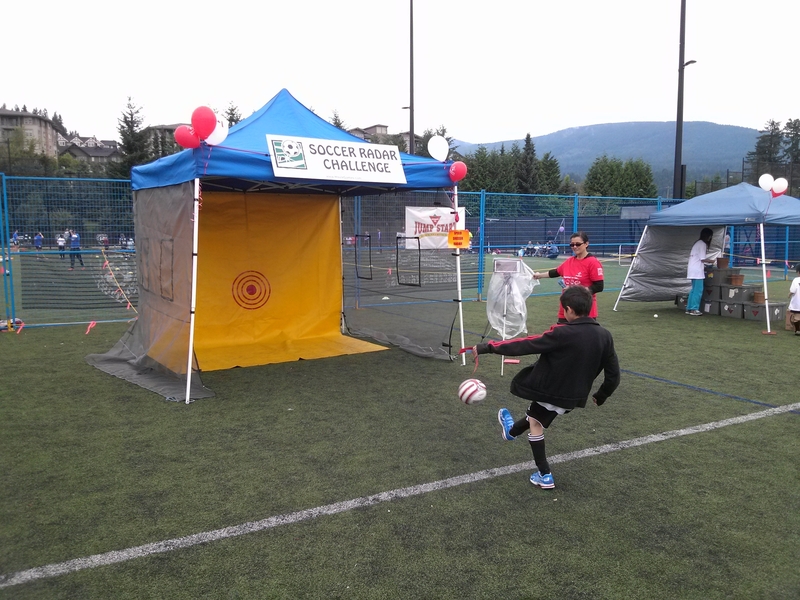 We have multiple ways to play it; kick some soccer balls, shoot some arrows or whack a few tennis balls at the oversized Velcro dart board. 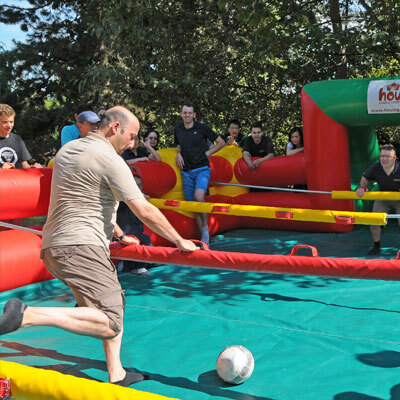 Compete to see who can get the best score!